Educon is an awesome Joomla! 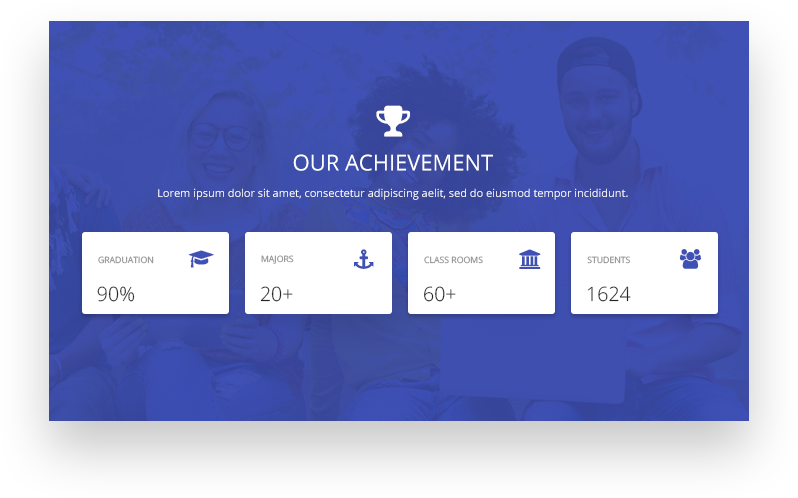 3.6x fully responsive template suitable for any kind of educational institutions, online learning and tutorial sites, LMS projects and all other non-profit organization websites. It is an all-in-one modern template especially built for universities, colleges, secondary schools, high schools and so on. 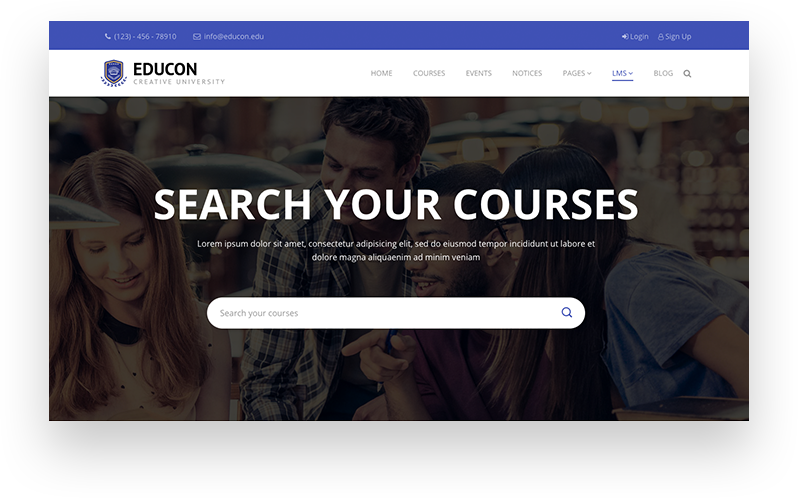 Any ideal educator who wishes to implement an informative and effective education related portal, Educon would be the best choice for them. 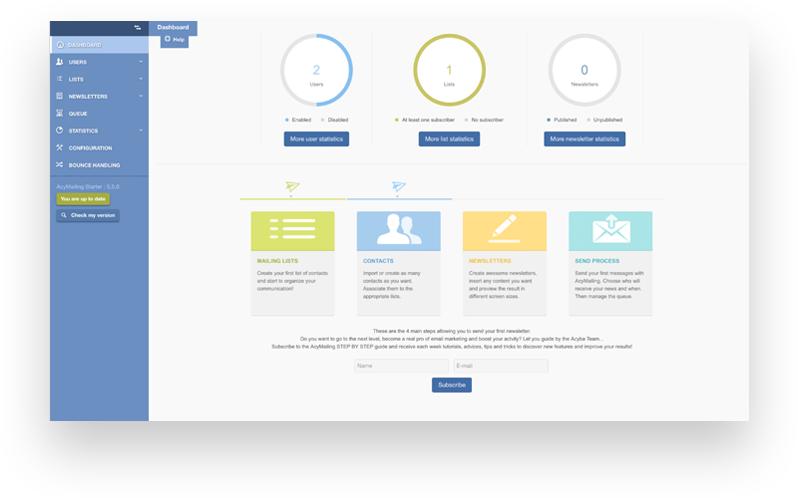 The template QuickStart package is prepared for an optimal user experience. It includes our SP LMS component (that manages courses, teachers, events, quizzes) and plenty of custom-designed contents that you will find quite useful. Your contents will accurately be compatible with all desktop and mobile devices. It is a superbly easy to use template and fit for any language as it is natively translation & RTL ready. Educon is developed on JoomShaper’s Helix3 template framework. Our multi-tool & easy to use SP Page Builder 2 Pro is provided for free in the QuickStart package which means adding, editing and customizing elements on a page will be fast and intuitive with the live front end visual drag and drop system. The good thing about this template is that you don’t need to touch a single line of code unless you really want to. It’s certainly a template worth careful consideration. 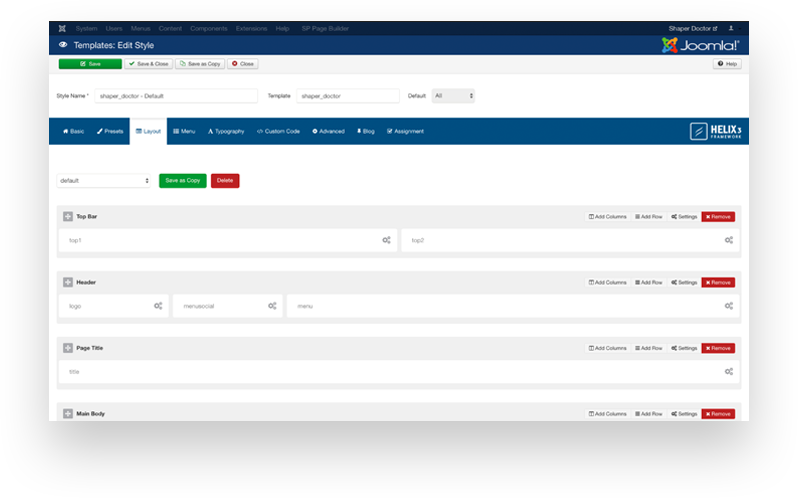 Educon is the February 2017 template from JoomShaper. It’s a fully responsive premium Joomla 3.6x template for educational & academic institutions and e-learning websites. It’s a multipurpose template which can be used and customized for any other relevant business site. The template comes with numerous learning management features that can play a key role in the success of any educational website. 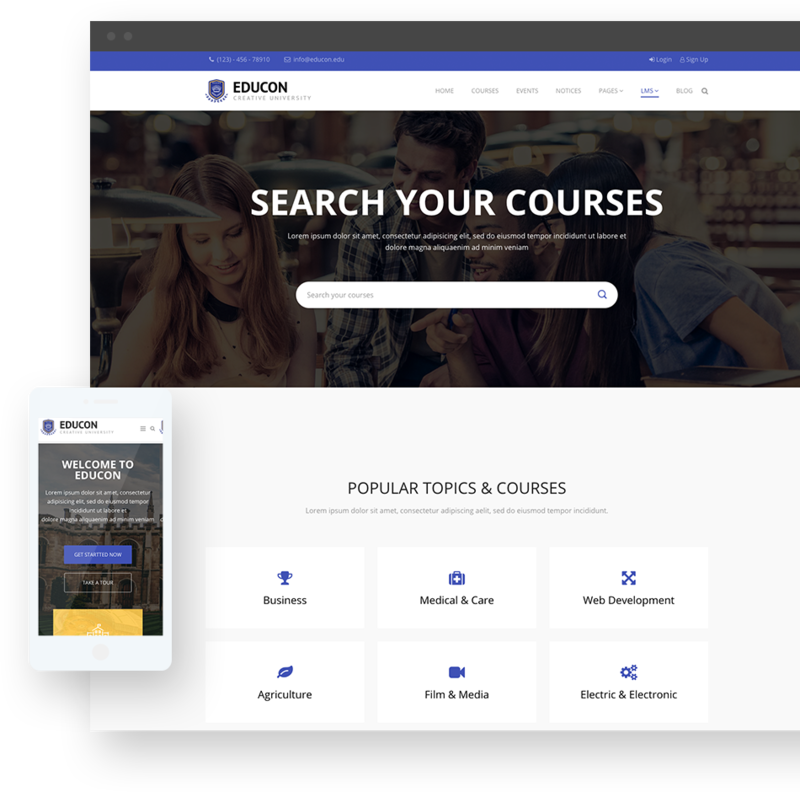 Educon is an elegant looking full fledged, well organized premium Joomla template packed with a range of features that will give you a boost to stay ahead of the competition. The template is packaged with the industry leading drag and drop page composer tool SP Page Builder Pro ($39 value) which is provided for free with the template package. Let’s check the detailed features below. SP LMS is our dedicated component exclusively developed to manage all the learning management system functionalities available in the Educon template. SP LMS has all the necessary features and functionalities needed to run the total academic activities like categorized courses, faculty listings, notice board, events, event speakers, quizzes, certifications and so on. The SP LMS component empowers you to offer and sell courses online. Online course showcase, cart, payments, invoicing facilities and many other relevant stuff is given in the component. The default home variation is the total assurance of seductive user experiences; everything is in its rightful place offering rich accessibility. A perfect setup for any educational website. The default homepage is packed with stunningly beautified features like take a tour, courses, achievements, events etc. Simply it has all the necessary gears to make you invincible. 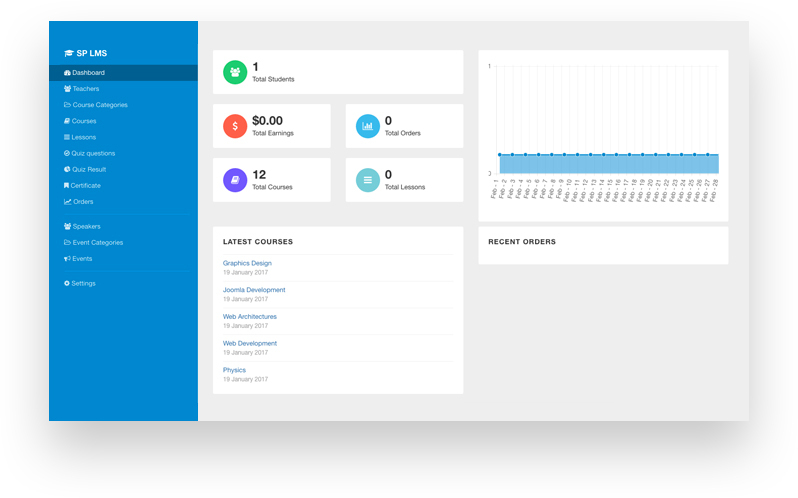 Jam-packed features are ingeniously variated in the home page just to ensure the user interaction by introducing unique items like scholarship news, admission now and so on. Exactly the game changer you are looking for. The LMS (Learning Management System) home variation unifies all the exciting automatic and customizable database integrated features like course management, online course enrollment, faculty listings, events, quizzes, carts, checkouts and many exciting stuff. 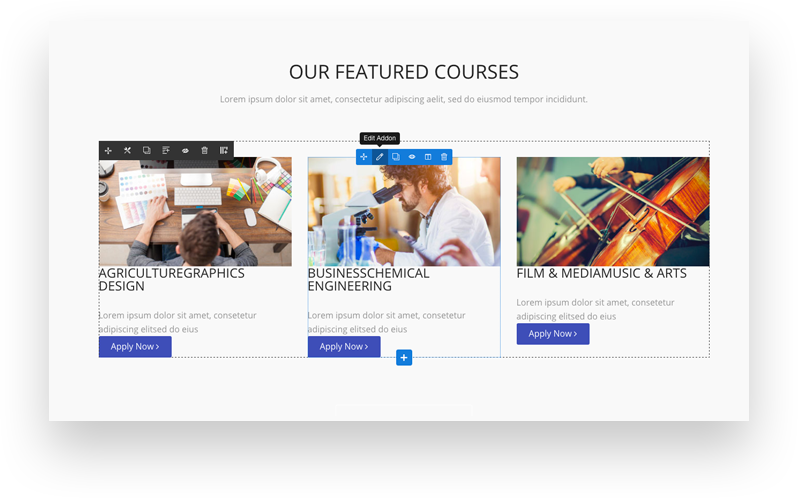 The LMS variation provides dynamic listings of categorized courses, glamorized with breathtaking designs and also comes with an exclusive feature of dynamically categorized course searching. It offers a total learning management system that includes all the necessary and impressive features such as course listings, course details, faculty listings, complete events stuff, online course enrollment, invoicing & cart, certification, quizzes and much more. Courses are displayed with a fascinating grid view to give the visitors an easy way to discover and understand the stuff. The interface is really informative and clean. With our in-house developed LMS component, you can add unlimited number of courses and categorize them in various groups. Categorization ease up the access to courses with the search option. 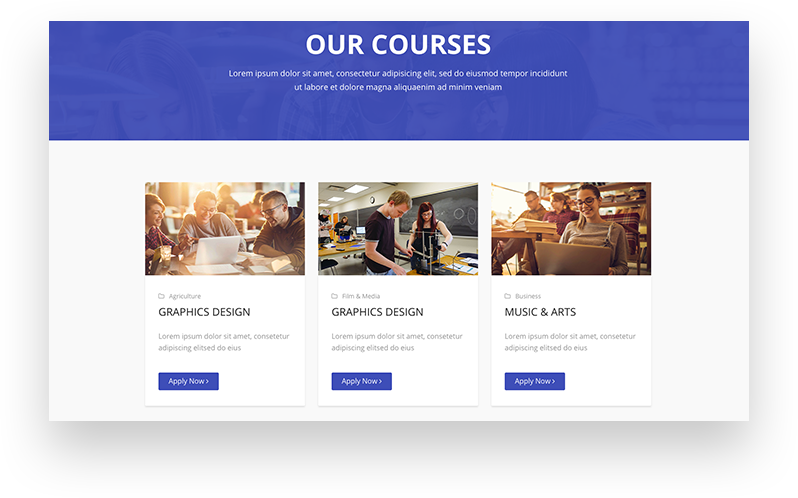 Every course comes with a well-cooked course overview page, displaying every single information about the course, requirements for taking the course and apply instructions. The touch of perfection is given with the e-commerce features at the end of the page. Educon gets an amazing set of communication features thanks to the developers. 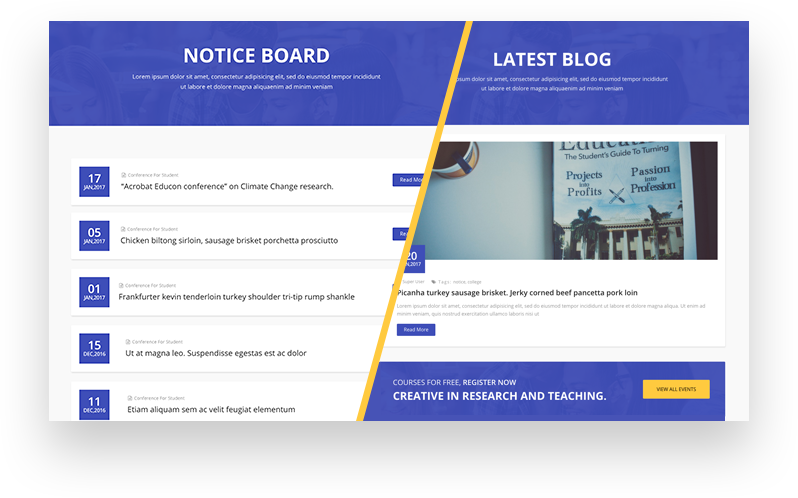 Conspicuous notice board and premium blog design satisfy every single need on the communication side. The Educon notice board is enriched by numerous features. With styled information display and features like membership registration, send via mail and download option make it the perfect PR channel. Because of the trendy usage of blogs in the form of communication, Educon richened the outlook of its blog and facilitated a quality blogging interface. Myriads of benefits of events make it a must have feature. Bearing that in mind Educon brought out the whole new ways of arranging and showcasing events with all the crucial features. 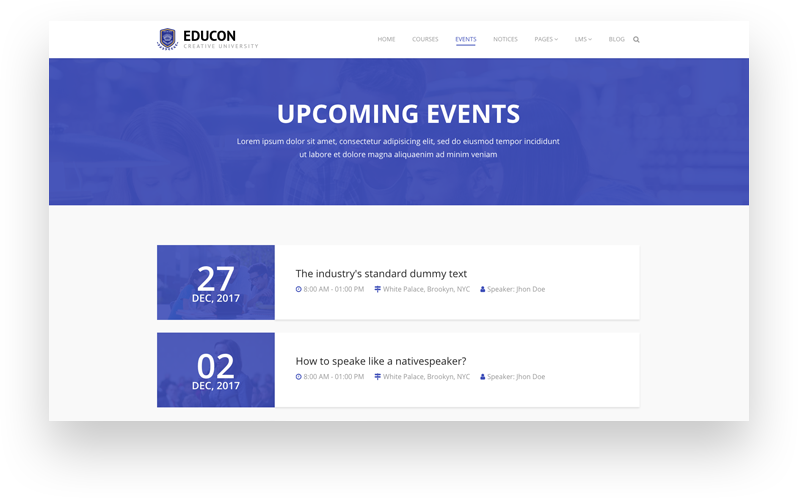 The Upcoming Events page comes with an elegant parallel presentation of events with categorization and simultaneous display of core pieces of information like time, location and speakers. Every event speaker has an individual profile page showing their elegancy, all the desired information, relevant events list and social media connectivity. Every event page is equipped with all the vital social media promotion options along with location tracking with Google mapping. Achievements are the reflections of hard work and legacy that is worth displaying upfront for inspiration and ultimate determination. Also certification is the earned prize of one’s sheer will. Both the recognition is added in Educon. Grandstand of achievements is a unique feature of Educon that displays the accomplishments with glamorized outlook and dignified impression. This feature is the recognition of course completion. Certification comes with an awesomely beautiful certificate with all the information and verifications. An image can tell a story worth thousands of words. That’s why a photo gallery is an indispensable part of any website. It doesn’t matter whether it belongs to corporate, business or any other category. Simplicity is beauty. We’ve designed the Educon gallery with this proverb in mind. The gallery can play a significant role in telling your organization story by showcasing some selected moments in frames. Educon gallery is static when you open the host page. But as you hover your mouse over the gallery items, the respective images respond to you by being resized. Clicking an item opens it in a bigger view. Educon offers a great deal of freedom in delivering website contents. The template supports Retina standard displays, multiple languages, translations and RTL text direction. 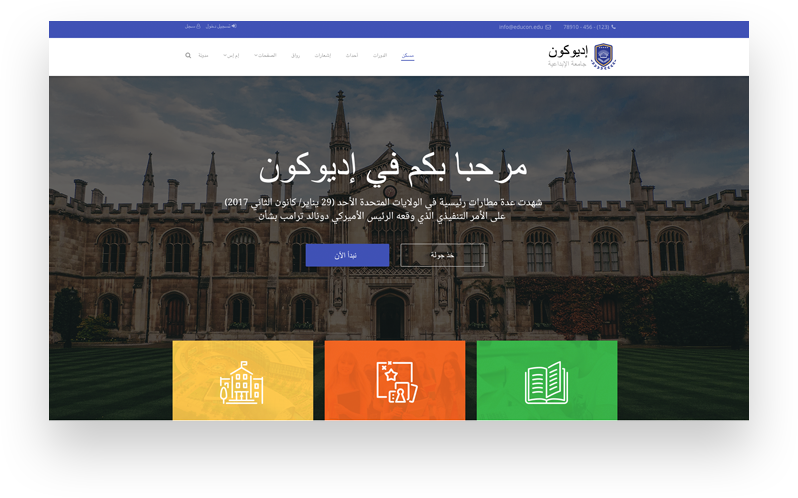 Educon has native translation and multi-language support to let you launch a website in any language. You can even use Right-to-Left (RTL) scripts e.g. Arabic, Hibrew etc. Educon supports ‘Retina’ display standards, so you can make your site fit for richer graphic contents to facilitate a perfect view on higher resolution displays. All of the visitors will get the best vision experience. Keeping in touch with the customers and stakeholders is very crucial to get success in any business. Educon recommends and provides AcyMailing email newsletter component pre packaged to let you utilize the email medium. With AcyMailing, you can collect new email subscribers, create customized email lists, import Joomla user emails, run newsletter campaigns and much more. Communication made easy. AcyMailing has lots of readymade newsletter templates that you can use to launch email campaigns quickly. The built-in templates can be customized, and you can also create new ones. The Educon template is built on the top of our legendary Helix3 framework. It has a robust set of features that are incredibly useful for both the developers and end users. Helix 3 framework is very flexible and versatile that offers the developers a great opportunity to create as much layouts as they wish. The result is 100% responsive and mobile friendly. Helix3 looks after everything related to the typography stuff of your Joomla site. Choose a font family, adjust font sizes, select font styles, set font colors and tweak other things conveniently. 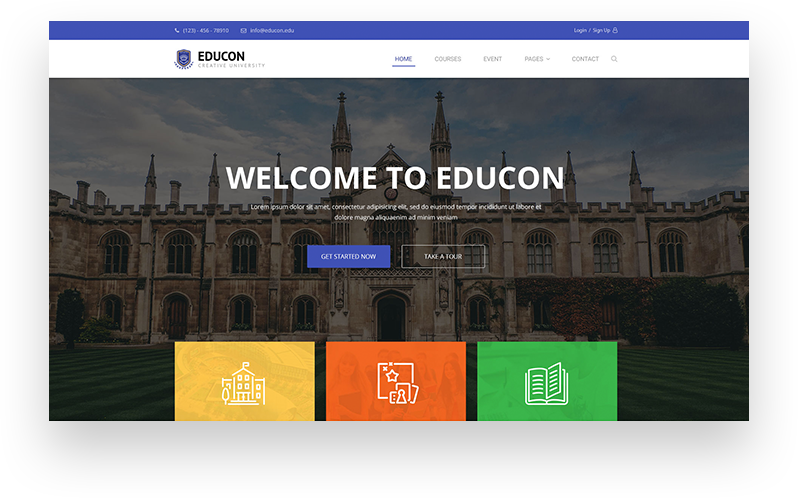 The Educon template layouts are powered by SP Page Builder 2 Pro, our revolutionary visual drag and drop Joomla page composer. It’s an absolutely mind blowing tool that turns site building into a fun. SP Page Builder enables anyone to build a stunning website without coding a line. You can build any page following any design or element arrangement. The page builder saves your time and money by an incredible extent. It reduces the time and skill requirements for developing a website, that means less manpower deployment in your workforce. Educon is developed with modern web technologies to ensure the best possible web experience. Moreover, our dedicated support team is always ready to assist you with any issue if arises. At JoomShaper, we take user feedback very seriously. We issue regular updates and also add newer features to our products based on user suggestions. We really enjoy doing this. 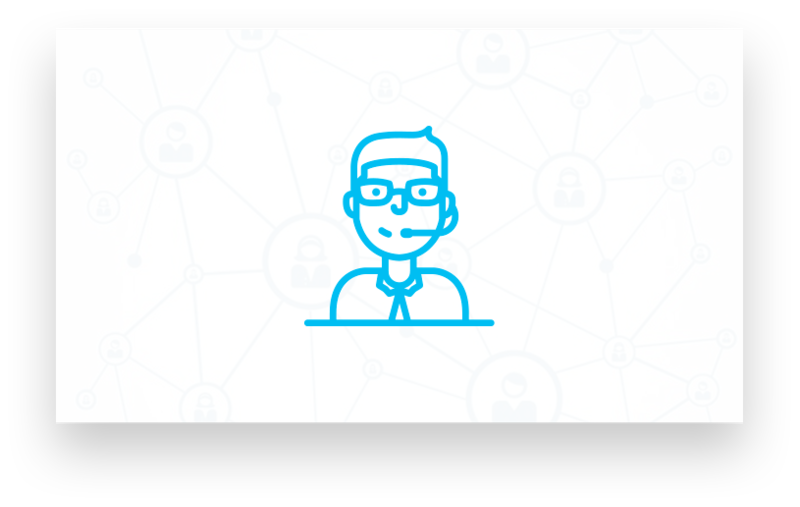 Our dedicated customer support team provides fast and top notch support to the potential and present customers with heart and soul. We have support forums, community Facebook groups and more communication ways to stay in touch.